Twelve of us met up on Sunday April 24 for the first get-together of the new school year. Taking part were Alex Shaitan, Alison Stewart, Andy Barfield, Caroline Ross, Fumiko Kurosawa, Ian Hurrell, Jenny Morgan, Ken Ikeda, Martin Cater, Mike Nix, Terry Nakajima, and Tim Ashwell (with regrets from Blair Barr, Fumiko Murase, Huw Davies, Lee Arnold, Mayumi Abe, Stacey Vye, Stephanie Corwin, and Tyler Kinkade). We started off by talking in small groups and pairs about learner development interests and issues, and life in general, and these conversations continued for just over an hour. After a short break, the afternoon continued with Alison leading a 90-minute workshop on Exploratory Practice, followed by 25 minutes or so of plenary feedback and comments. The combination of sharing learner development interests and then going into a workshop session was a new direction for the get-togethers this year. We’d like to say a very warm thank you to Alison for preparing and leading such a stimulating inaugural session. The next get-together is taking place on Sunday May 15 14.00-17.00 and will follow a similar format of mingling and sharing learner development interests, questions, and puzzles, with a 60- to 90-minute workshop. The May workshop will focus on different issues to do with using interviews in practitioner research, with Alex Shaitan and Caroline Kocel-Ross leading the workshop. For her doctoral research Alex has carried out extensive case study interviews with young people from mixed backgrounds into how they see and experience their identities, while Caroline is currently developing interview-based research into local people’s knowledge and understanding of development and environment. Many thanks to Alex and Caroline for stepping forward to lead the workshop at the May get-together. We will send out more details soon, and we look forward to seeing you there! Andy: It was great seeing everyone on the 24th. In the first part of the afternoon I talked with Caroline. We caught up with each other on some of the things that we had done in the Spring break. I talked briefly about the teacher education volunteer workshops that Jenny and I had done in Yangon in March, mentioning how much I had enjoyed working with Jenny and the trainers, and how we took the position that they were the experts and we were there to learn with them in doing the workshops together with them, by bringing in their own experiences, concerns, and expertise as the central focus of different activities and discussions. Caroline and I then talked about her month-long field trip visit to the island of Yap in Micronesia which she had done as part of her MA studies. I noticed how much conversations with local people figured in Caroline’s accounts of her stay, and how she had tried to remain open-minded about her research and had not rushed to close it down to a particular question. There seemed to be many different possibilities for Caroline to develop a deeply interesting and critical understanding of ‘sustainable development’, and, more specifically, of how environment education may include or not the knowledge, perspectives, and expertise of local individuals and communities. Caroline is going to go back to Yap in the summer to do further fieldwork, and I am really looking forward to hearing more about how her research project evolves. Ken: Ian was eager to get back into LD issues and told about a study he was conducting to discern if shorter speaking times than those determined by his workplace would help students to talk more. Ian and I then discussed the ramifications of Exploratory Practice (EP). We wondered about the meaning of “quality of life” which is the primary stated aim of EP. Of particular concern was whether EP could continue to be a useful approach in classes after the first time around (Ian pointed out that the observations on the papers we had been given to read mostly were on the efficacy of how it worked the first time). Ian was looking forward to Alison’s talk and what she had to say about EP. Fumiko joined us and explained about one class which she had them using a digital forum. It seemed to be working well but a few male students were putting far too much effort to help those who didn’t seem to understand how to do it. Ian: I didn’t have the chance to attend a LD Get-together for a long time, so it was great to see some familiar faces and get to know some new ones. In the first session, I sat down with Ken and Fumiko. I was eager to hear what they had been doing since the last time we met. Ken was busy with the start of the new academic year and he talked about his efforts to get better feedback from students in post course questionnaires. Fumiko talked about a project she was working, where she was using digital forums to facilitate student to student interaction. She wants to present her project sometime this year at an LD event so we are looking forward to her presentation. Since becoming a father for the second time, I’ve had little time to work on my own LD projects but after reading through the two articles posted on the LD website and becoming briefly familiarized with the basic concepts of EP, I was interested to hear Alison’s experiences of using EP in her workshop. Martin: After arriving late due to having to help out at a festival at my son’s nursery earlier in the day, I was able to talk to Tim, Alison and Mike. It was great to speak to them for the first time. After discussing the joys of cycling, our conversation turned to our knowledge and/or experience of program management within universities. It seems that there is quite a lot of institutional variation, and it was great for me to be able to listen to accounts from people with significant insight on this matter. Tim was particularly interested in this due to upcoming changes at his own institution. I was also interested to discover that I am going to be teaching the same course as Alison at one of my universities during this academic year. Jenny: In the first session, it was great to see Alex Shaitan again who I had first met four years ago at a THT (Teachers Helping Teachers) event. We spent time catching up about our research interests and teaching contexts. Alex talked about her students’ learning journals, the first entry being a questionnaire she has learners complete as a way of finding out what her students’ puzzles are at the beginning of their course. E.g. “what is the most challenging thing you’re facing right now”. We then talked about various content-based class topics that students seem to engage well with – e.g. diversity, multi-racial identities in Asia, the film “Hafu”; learners writing responses to Moodle texts, youtube clips, magazine texts and other sources. I found Alex’s ideas for journals useful for a new tutorial/zemi style course on global issues I am teaching this year. I shared about the teacher development workshops I’d been doing with Andy in Myanmar, which take an active reflective learning approach to teaching-learning, and ways we could apply it in our classrooms to help our learners develop criticality in their thinking and learning. One part of ARL is the reflective journals which I am now gently easing my learners into writing. Alex: It was a great opportunity to meet everyone at the LD SIG April get-together. Since I was away in the UK for the past four and a half years, it was an invaluable experience for me to get involved with all the participants and (re)learn and/or refresh my knowledge related to learner development. During the first part of the meeting, Jenny and I shared our university teaching experiences and issues, especially the ones that we had encountered at the beginning of the first academic semester. I learned a lot from Jenny who kindly shared her knowledge and skills in how to tackle a variety of issues that may arise in the class. In addition, Jenny briefly introduced me to the concept of ‘active reflective learning’, i.e., an approach to content-based teacher/learner development. I also liked Jenny’s explanation of ‘thinking backwards’ for ‘thinking forward’ approach’ where she elaborated on the progressive thinking. While my doctoral thesis is not related to the TESOL field, it was great to interact with Jenny and learn about many essential concepts pertaining to teaching English to the learners of other languages. SInce I have just re-started teaching English in Japan, LD SIG April get-together provided me with an opportunity to learn from other professionals. I would like to express my thanks to all the participants for their warm welcome and support. Andy: I also enjoyed all the discussions in the second part of the afternoon, and I appreciated the way that Alison framed Exploratory Practice and shared stories of her own experiences of experimenting with EP with her third- and fourth-year seminar students. The sense of heightened togetherness and coming to new understandings of learners’ different trajectories – not just puzzles but also constant surprises – was impressive, as was the great trust and respect that Alison showed her students in developing the seminar with them in such an open and exploratory way. The three questions that I jotted down after reading the different EP practitioner stories were (1) Do EP puzzles need to be framed as ‘why’ questions? Why? Why not? (2) Quality of Life vs Quality of Inquiry? (3) In Exploratory Practice what positions might the teacher take in relation to learner puzzles? Does the teacher need to have his/her puzzles too? Or does the teacher puzzle about the learners’ puzzles? On reflection the way that puzzles get framed seems to be a crucial moment of developing exploratory practices. In a later discussion with Alex and Fumiko we came to the position that ‘puzzling’ may often involve moving back and forth between ‘how’ and ‘why’. We wondered in the end how closely EP principles need to be followed/how flexibly they may be interpreted. Ken: I was rather surprised that we could simply (simplistically) distinguish between EP and action research on the basis of question words: “why” for EP and “how” for action research. Our first group was Andy, Caroline and me. I think we bandied our relative discomfort with EP. I asked Andy in what ways did our mid-December CC:LT mini-conference embody the principles of EP. Andy replied that while the conference was designed for teachers and students to ‘create community’ by ‘learning together’, it was impossible to achieve the true spirit of community in just a few hours. It seemed to us that EP leaned heavily towards affective and holistic learning. The second group I joined had Caroline, myself, Alison, and Martin. We noted that EP seems to result in what Judith (Hanks, I presume) writes, “a heightened respect for colleagues (whether learners or teachers) and what we could learn from each other”. Another understanding was that EP seems to be effective in small cohesive groups whose members already know each other, but less so with large classes where unfamiliarity abounds. A looming discomfort with EP was its effectiveness for teachers to be content with having puzzles with students who are coming up with the same puzzles made before. Among the things that we discussed in regards to EP’s efficacy, I brought up one of my brainstormed questions which was, “Why can’t we use course questionnaires to improve ‘quality of life’ in (future) classes that are taught again?” It seems to me that a number of my publications deal with the aspect of failed classes, classes in which the plans down laid before teaching them are rendered moot by unfathomed factors or happenings. 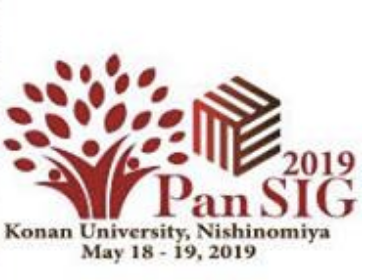 I referred to my paper published in the recent CLiLD collection about how a cross-institutional collaboration of seminars via web-linked technologies, in which our aim was that students would support each other through such mediums, failed to materialize. It came to my mind that Constant Leung’s “inelegance” (what I had in mind can be quoted from his abstract: “It is our view that working with naturally occurring data is inevitably a messy enterprise, but one that many researchers find difficult to fully acknowledge or account for in the presentation of their research data”) could help explain such glorious failures. Ian: In part 2, I sat down with Alex (who I was pleased to meet for the first time) and Jenny. After listening to Alison’s enlightening presentation, our discussion turned to some of the fundamental principles of EP and what they might mean in our personal contexts. Particularly interesting was the principal of ‘Putting quality of life first’, as this can mean different things to different people. Alison mentioned that she considered ‘Quality of life’ to be getting to know her students better through solving problems together. Another interpretation of ‘Quality of life’ we discussed on our table included making a positive atmosphere of learning through teachers and learners collaborating to gain a mutual understanding of each other’s expectations and goals. We wondered how others interpreted this quite cryptic concept of ‘Quality of life’. Another concept we discussed was the idea of ‘Working together for mutual development’. We commented on how EP seems to work well in situations where both teacher and student are getting to grips with new learning programs. However, what happens after the first groups of students have moved on and the new students come into the program. At this stage, the teacher will be at a different level of experience to the new students approaching the program for the first time. This ‘Experience gap’ between student and teacher will inevitably get larger over years of teaching the program and the puzzles facing teacher and student will grow increasingly disparate over time. This seemed to be an interesting puzzle for EP itself and we wondered how it would be possible to maintain this principle of ‘Mutual development’ over time. After we changed tables, I sat down with Tim, Mike, Teri and Jenny. In this discussion, we turned to the way that EP focused on puzzle solving or ‘Why’ a problem is occurring rather than ‘How’ the problem might be solved. We talked about how the ‘Why’ naturally precedes the ‘How’ in many situations, as it is difficult to solve a problem if you do not understand exactly why it is occurring in the first place. However, it was also agreed that, as teachers, we have a natural tendency to go straight to ‘How’ we might solve a problem rather than considering why it happening and that EP might offer a method to change our approach to problem/puzzle solving in our classrooms. 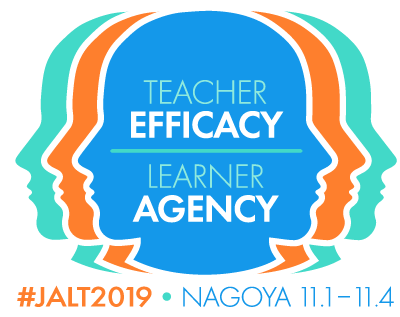 For example, rather than asking ourselves ‘How can I get my students to use less Japanese in the classroom?’, it might be more useful to ask the students ‘Why do you use Japanese in the classroom?’ and also ‘Why would it be beneficial to use less Japanese in the classroom?’. This was an interesting concept that I hadn’t deeply considered before and I look forward to having the chance to test it in my classes. Martin: The workshop component of the session was very interesting. Having had no previous experience of Exploratory Practice (EP), it was a great opportunity for me to be able to learn about something new, and discuss the strengths, weaknesses and potential applications of EP with fellow LD-Sig members. Working with Ken, Caroline and Alison, we shared a number of ideas. Having just started the semester, in one of my seminars I had wanted to encourage my learners to take ownership of the class by collectively deciding which topics they wanted to focus on within the context of a broad syllabus. Alison encouraged me to turn my ‘How..?’ question into an EP-style ‘Why..?’ question on this topic, and I came up with ‘Why is it important for students to have input in deciding what content is covered in this seminar?’ as a class puzzle. The emphasis on ‘Quality of Life’ as a core principle reminds me of aspects of Community Language Learning (CLL), which also places top priority on relationships between learners. A key difference, however, seems to be the involvement of the teacher as co-enquirer with the students in EP, whereas the CLL teacher is a support which is gradually withdrawn relative to learner autonomy within the group. As a teacher, I am instinctively more drawn towards the CLL take on the principle, however I can see value in EP and would certainly consider applying it through using the question I formulated to see how effective it is. I also found Alison’s final thoughts to the whole group very illuminating, as she described EP’s influence on her own pedagogy as having effected a shift in her attitude. I would like to add that I thoroughly enjoyed the workshop format and definitely look forward to the two others which I understand are being planned at the moment. A big thank you to Alison for putting this one together and sharing her experience. Jenny: I thoroughly enjoyed Alison’s workshop on Exploratory Practice (EP) as I had got a lot from reading the two articles she’d put up on the LD page beforehand. On first read, I was confused/bemused by the jargon “quality of life” and “puzzles”, a term which I’d heard used a lot in LD circles. I agree that the “quality of life” in the classroom/learning context is significant for fostering a positive community of learning and as Alison said, solving any problems/ challenges with the learners. “Quality of life” seems to be about the affective issues in learning-teaching. I sat with Ian and Alex in the first session, then Mike, Ian, Tim and Teri in the second session. Questions we covered (as others have outlined much more clearly above): Ian brought up the question (puzzle) of teachers gaining experience and knowledge of puzzles that would likely arise in each new course with newcomer students. How do teachers not provide all the solutions, and just let learners feel their way and work through the puzzles together, an invaluable process? Could seem a bit artificial? Tim asked: who initiates the questioning of the puzzles, the teacher or the student? Someone mentioned (sorry, I forgot who) they have students write their puzzle/ problem/ questions/comments to a specific topic or issue on a ‘post-it’; students then add these to a large poster. Then, as a whole community, the class does the puzzling together. I’ve used this ‘post-it’ activity in various places and it’s very participant-centred and helps builds community. Regretfully , I had to leave early and missed hearing from other groups. Finally, many thanks, Alison, for your time and energy preparing the readings, stories and sharing your teacher story. I learnt a lot, went away with lots to mull over re. EP and action research. Alex: In the second part of the meeting, I had a discussion with Ian (meeting him for the first time) and Jenny. We talked about ‘Exploratory Practice’ and its seven principles. In addition, we had a discussion related to the ‘flexibility and fluidity’ of the EP, as an ongoing process for both teachers and learners. We also talked about what ‘quality of life’ means to each of us and how we perceive it and apply it in our classes. As Alison mentioned in her discussion, “Quality of life is relationships in life, that is to say, an attempt to understand where we are at now.” Also, I really got interested in the question raised by Ian: teacher’s role in fostering students’ reflective learning. In particular, we talked about when and how much scaffolding/support should teachers provide to their students? Since teachers acquire a variety of knowledge over the years, they are not necessarily ’empty vessels’ approaching the issues at the beginner’s level. I sat with Andy and Fumiko for the second in-group discussion. We had a discussion related to the format of questions. For example, we talked about ‘why’ vs. ‘how’ and how these could be altered. In particular, Andy suggested that if a teacher/student is engaged with a particular issue that they want to understand further, any question may suffice as the starting point, regardless of how it is framed at the start. Fumiko shared her expertise on how she used one project in her class to address the issue of ‘quality in life’, which I though was a brilliant idea. I had a great time attending the get-together. Alison-led workshop raised many issues that we are all facing in our teaching career. Rather than finding answers to questions, I realized that I had more questions after having shared/exchanged my thoughts with other participants. While I was familiar (a shallow one) with the concept of EP, this workshop has kindled my mind and encouraged me to read more about it and explore a variety of issues in my teaching. I would like to thank Alison for her amazing workshop, and all the participants for sharing their professional knowledge and expertise with me. I am looking forward to attending May workshop.